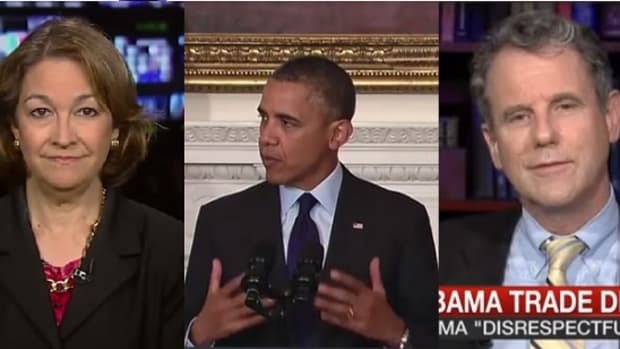 The media is so invested in their Hillary Clinton narrative that they completely missed Elizabeth Warren's attempt to bigfoot Clinton into opposing President Obama. 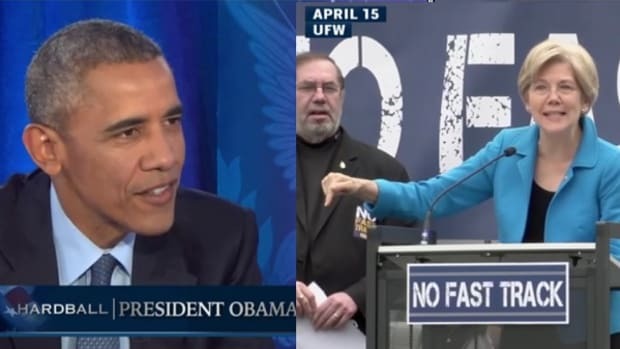 On a completely different, yet parallel, track from the ongoing feud over trade within the Democratic Party, a power struggle has been going on between three of the party&apos;s most recognizable and popular figures. There&apos;s President Obama, who remains immensely popular with Democrats, turns out a broad coalition of intensely loyal voters, and has been flexing like mad since his party ran away from him in the midterm elections, and paid dearly for it. Then, there&apos;s Senator Elizabeth Warren (D-Mass. ), heir-apparent to the fresh blood energy that propelled then-Sen. Barack Obama to victory in 2008 and superstar to the liberal base, but lacking the next-level name recognition of her party&apos;s other superstar. That other superstar would be former Secretary of State Hillary Clinton, who sits atop a mostly-empty Democratic presidential field after weathering an intense campaign to draft Elizabeth Warren into opposing her, and who has thus far managed to thread the needle on the substance of the Obama/Warren power struggle. 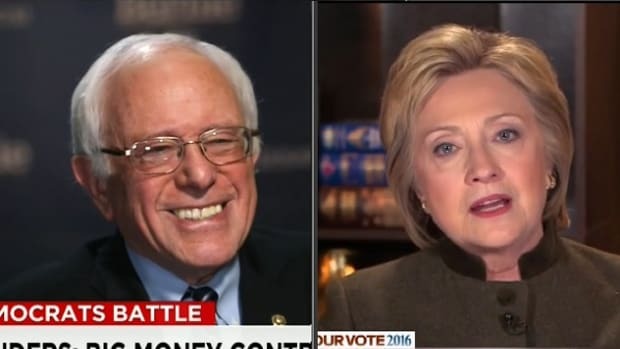 As much of a lock as she may be among Democrats, however, Clinton will need to turn out the Warren wing and the Obama coalition in order to defeat the eventual Republican nominee. 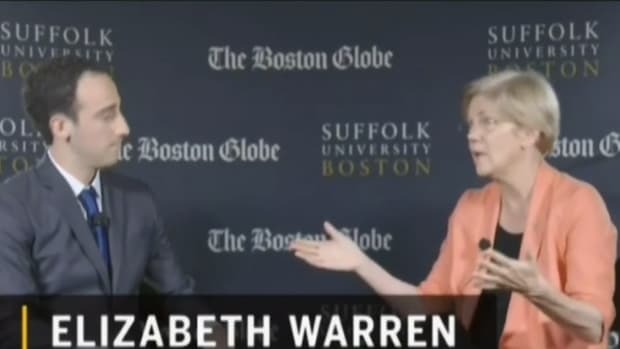 Warren: I think you are asking me if this matters to me. The answers that it matters to millions of workers across the country, it matters to the millions who have to breathe the air and drink the water, it matters to the millions who are going to eat food here in the United States. So, yes, the trade deal matters to me. Reporter: Is it big enough that it could sway who you could back in this presidential campaign? Warren: I&apos;m just saying the trade deal matters, you bet it does. Warren&apos;s conspicuous refusal to rule out a run, after famously ruling one out every other day for a year, is a major power move. Now, a Warren endorsement, or even a candidacy, wouldn&apos;t necessarily affect the outcome of the Democratic primary, but the threat could depress turnout from the Warren wing, and make for a weaker general election candidacy. 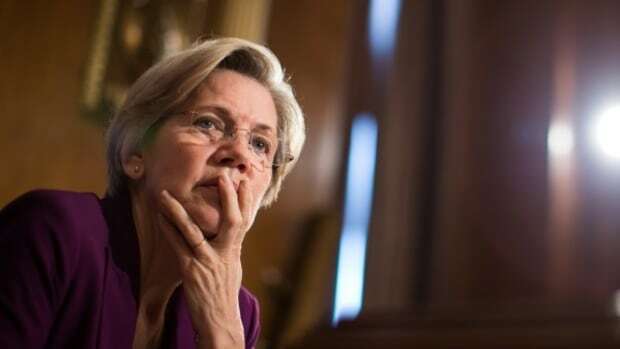 However, that quote went virtually unnoticed by the media, which focused on Warren&apos;s call for Hillary Clinton to be "clearer" about her position on trade. Only MSNBC&apos;s The Last Word with Lawrence O&apos;Donnellreported on it, and correctly assessed its likely effect. Of course, Elizabeth Warren isn&apos;t going to jump into the primary, but her attempt to arm-twist Hillary Clinton will likely make it more difficult for Clinton to move in Warren&apos;s direction. As O&apos;Donnell and former Obama adviser David Axelrod pointed out, if Hillary changes her position now, it will be seen as a sign of fear. More than that, though, such a capitulation would badly alienate the Obama coalition that she&apos;s made such strides with since the lingering bitterness of 2008. 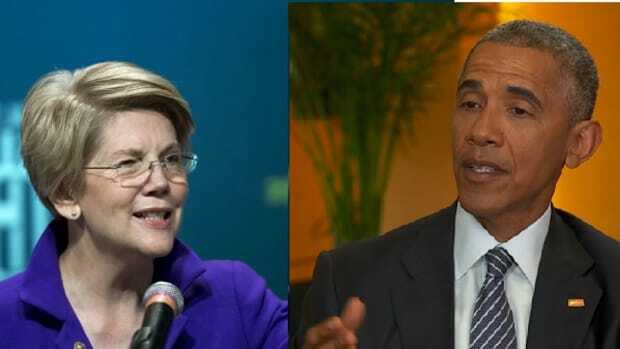 Loyal Obama supporters have become less and less amused with the tone of Warren&apos;s opposition to President Obama, a rift that may have become irreparable when Warren-wingers began accusing President Obama of sexism for calling Sen. Warren "Elizabeth." To Warren and Brown, this might just have seemed like a garden-variety political warning shot, but to many black voters, it carried echoes of centuries-old bitterness. Brown has yet to apologize, and Warren has ignored it like a turd that you step over on the rug. Within that dynamic, Warren might actually have given Hillary Clinton even more political space to dance around the trade issue. The White House is happy with her on the fence, and Warren has pissed off loyal Obama supporters so much that she might now act as a heat shield for Hillary. Given their distaste for Warren and Hillary&apos;s positions on things like criminal justice reform and policing, Clinton has a lot more room to hold the middle on trade than she does to embrace the Warren wing position. 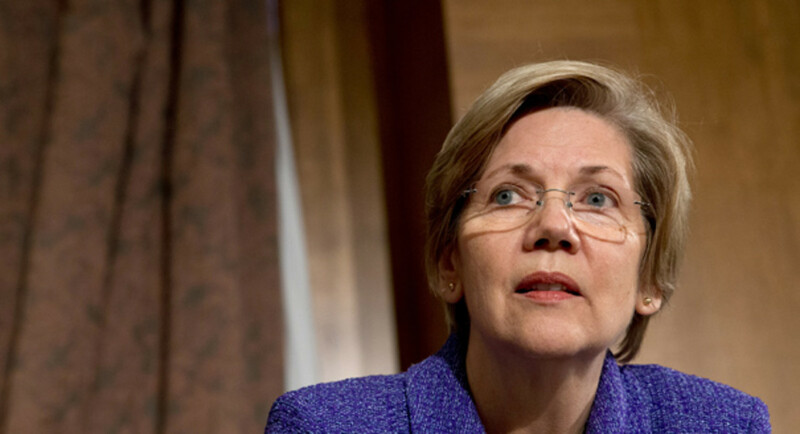 Give Elizabeth Warren props for making such a bold move, even if hardly anyone noticed it. That could change if the reporters who are following Hillary everywhere ever get to ask her about it. 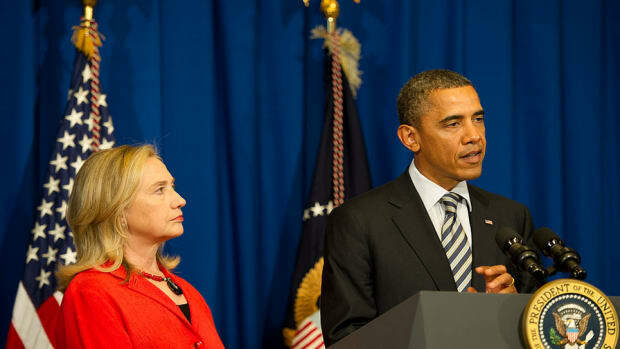 If she&apos;s forced to choose between President Obama and Elizabeth Warren, then you&apos;ll see some fireworks.